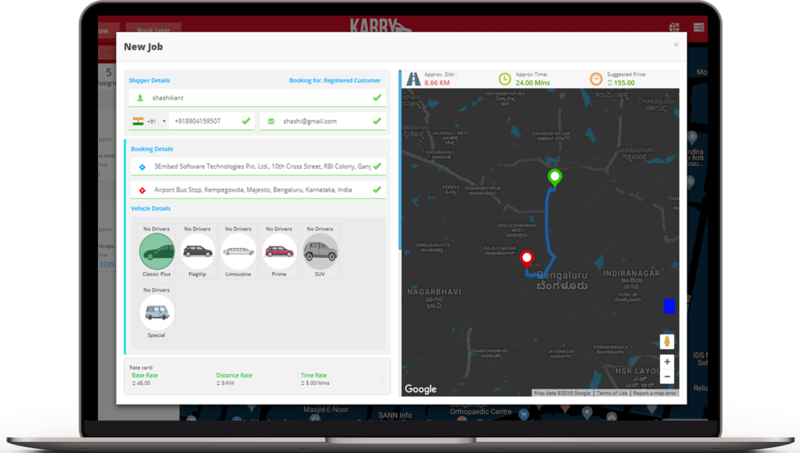 Karry was designed keeping the best features from top ridesharing scripts, taxi app scripts, white label taxi software with additional features inspired from to ride-hailing applications like Uber, Ola, Didi, Lyft & more in mind. Altogether, the Uber clone script is packed with features to make the next big taxi booking application in the target market of your choice. 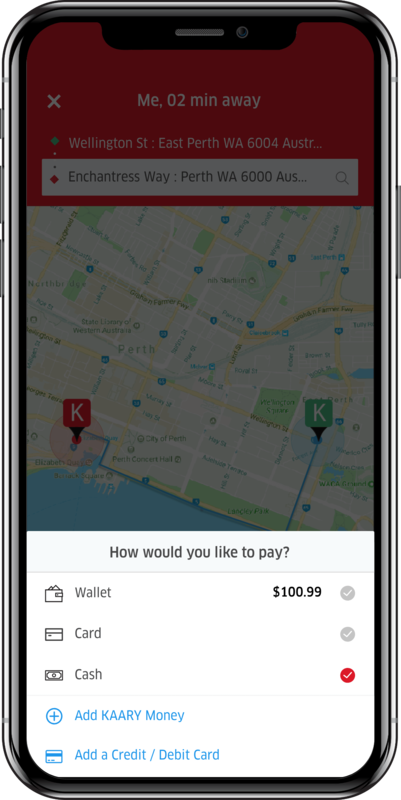 The Karry driver app has been designed with an easy-to-use UI for drivers to quickly on-board themselves and start accepting booking requests. 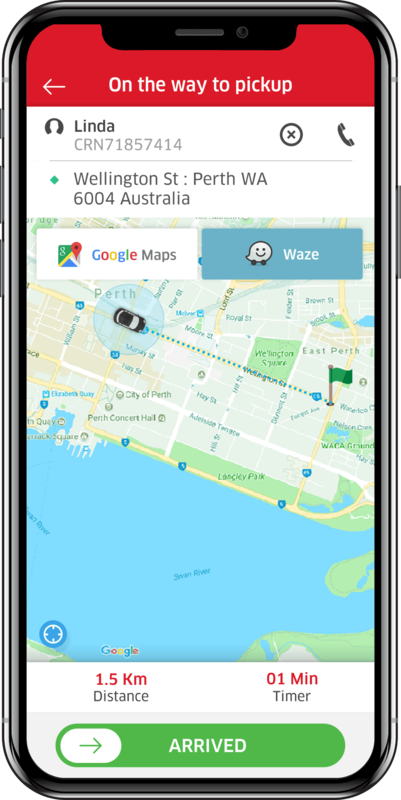 Drivers can view analytics on trips undertaken and connect their bank accounts directly with the app as well. The Karry uber clone script is equipped with vehicle rental module. Users can select a variety of rental packages based on duration and vehicle type. The entire rent vehicle workflow is seamlessly incorporated within the existing app architecture, enabling you to provide an all-rounded vehicle booking solution to your customers. 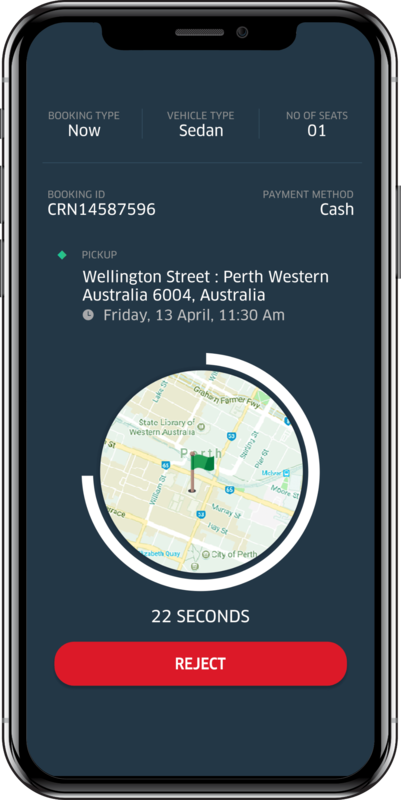 The hotel can pay for the taxis themselves via their credit line with the taxi app or can allow the customers to pay by cash directly to the taxi driver. Adding even more business scope with the Karry taxi booking software solution, app admins can now seamless tie-up as an exclusive transportation partner for corporates. Companies can add their employees who are allowed to bill their rides to the company. Companies can set the zones in which their employees can book rides to and from. 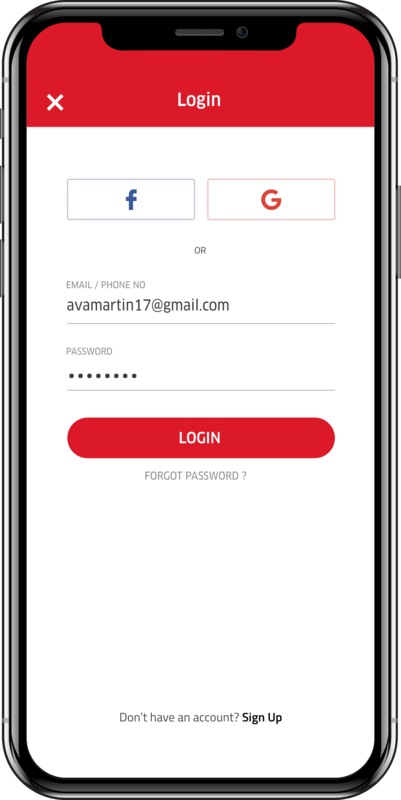 Employees can download your taxi app and can connect their account with the company account by adding their official email address. 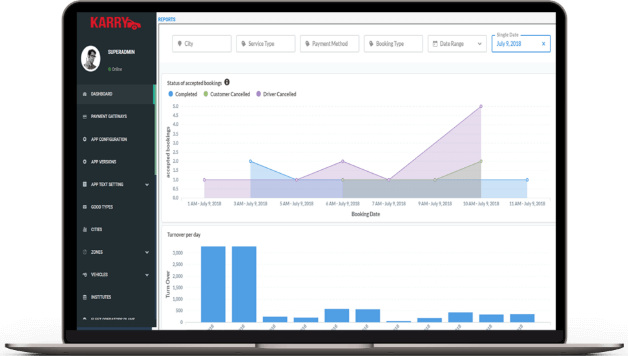 Seamless web dispatcher dashboard crafted for assigned personnel to easily switch between assigning booking requests on demand and monitoring trips in real time. Overall view of all the on-demand & scheduled taxi jobs, online & offline drivers drivers, individual phone battery percentage etc. 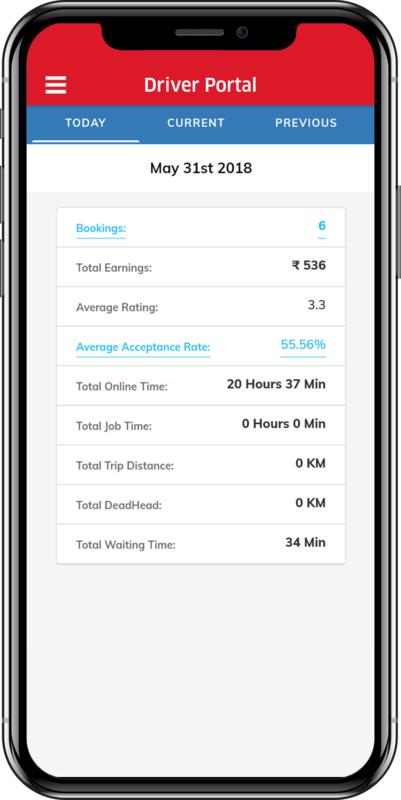 Manually assign bookings to cab drivers on-demand. Enter details such as destination, payment method, vehicle type etc on the taxi dispatch system. View the status of each individual taxi or transportation booking & their respective job status with in-app notifications. 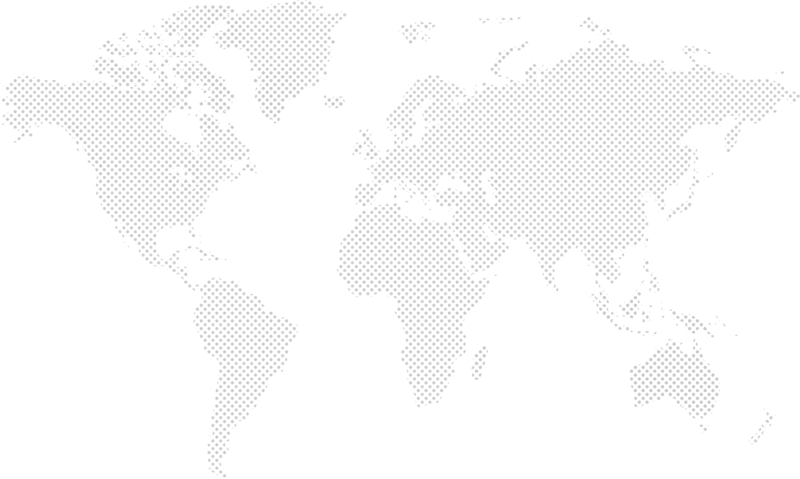 We understand certain markets across the globe still have customers using websites as their primary means of booking taxi services. Along with the app, we provide craft an online taxi booking website for your customers. Designed for travel agents/partners that don’t have an immediate taxi for a booking request. The agent can augment their fleet and books a taxi through the app or desktop terminal, wherein the driver of the taxi will now represent the Travel Agent. Featured as a pre-paid service, no receipts will be shared to the customer. The Travel Agent will charge his client as Garage to Garage pre negotiated rate. 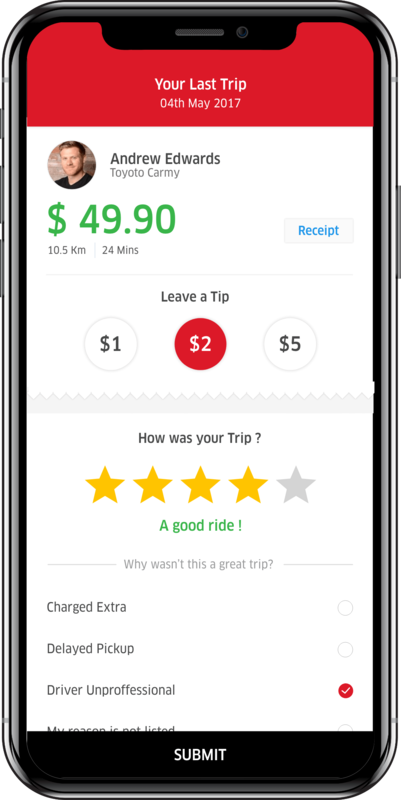 Taking the best features from top taxi booking applications like , Karry is designed to be the perfect taxi booking app & Uber clone script with a feature-rich yet seamless UI experience for on-demand taxi bookers. Register with profile details & login via email ID, phone number or social media account. Pick a date for your ride. View the rate card for each individual vehicle type before booking. Book a ride for yourself or a friend. Enter drop location & various other ride details on the Karry Uber clone app. Choose your preferred mode of payment on your on-demand taxi script through cash, card & wallet options. 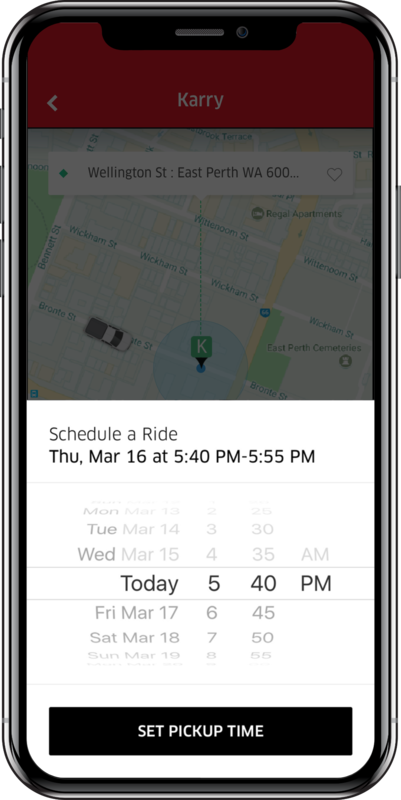 We’ve updated our driver preferences giving the users more flexibility during ride bookings. Options provided can cater to the individual or for additional passengers. Check for promo codes & offers running. Just select the code to avail a discount from the total fare. Promo codes & loyalty programs are managed on the white label taxi management software/Karry admin. 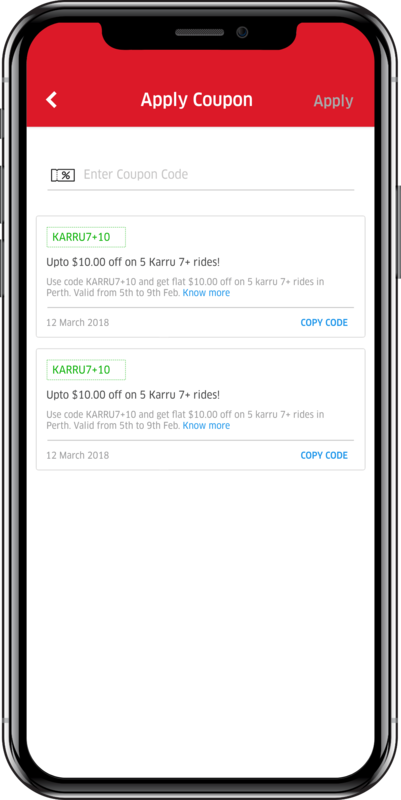 We’ve integrated the Karry Uber clone script with an institutional module to enable tie-ups with corporates & as an employee transportation solution provider or as a guest transportation solution for hotels, resorts, retreats etc. Depending on the setup, the final ride bill is handled by the customer or the institution. 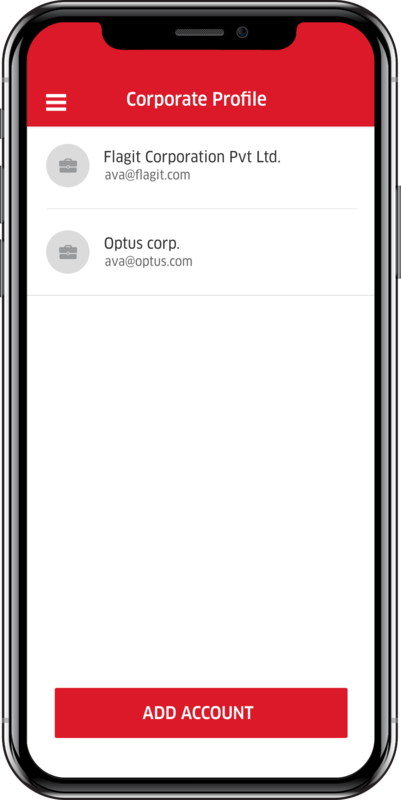 Users can set up their corporate/hospitality profiles by adding in their corporate email account/room number/phone number. Once approved by the admin, the account is then available for usage during booking. Users can select their corporate/hospitality accounts during bookings. 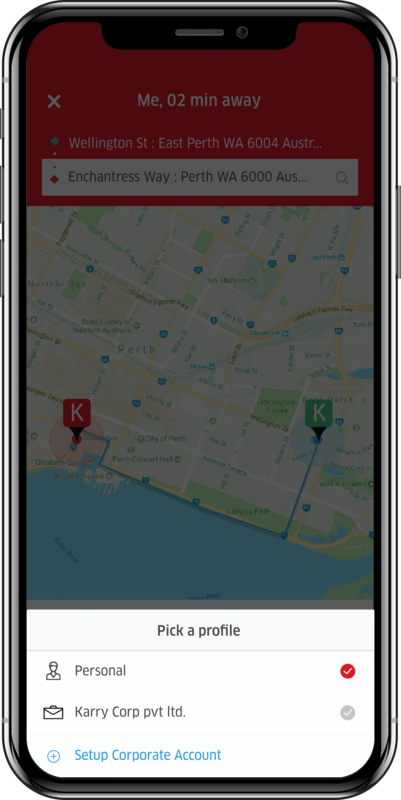 Once a cab driver has been assigned, The Uber clone script & taxi dispatch software provides users with both live map tracking & real-time in-app notifications regarding their status of their booked ride. Once the customer preferences have been entered, the Uber clone app then searches for the nearest available driver that matches the user’s preferences. 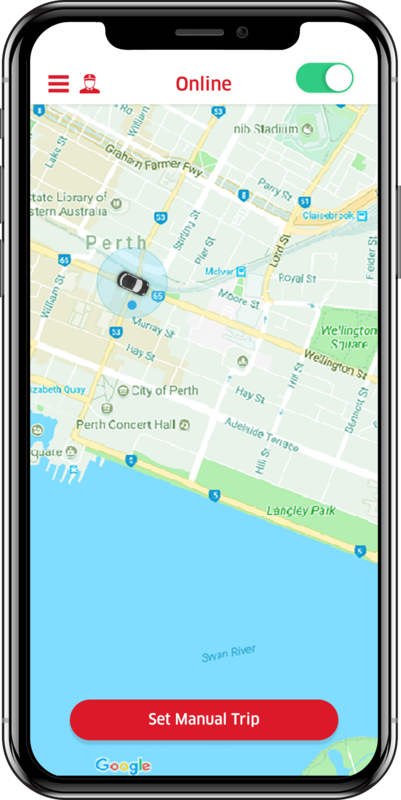 Real-time map view of your booked taxi service integrated into our Uber clone software. 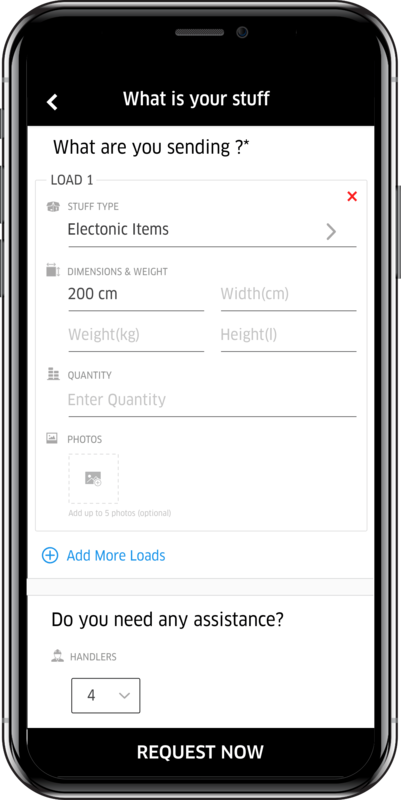 Users can additionally view their load details call their drivers for additional route or load details. View a detailed invoice of the booked taxi service. Rate your cab driver on a number of factors. This ensures high courier delivery quality standards are maintained by the admin & the business. 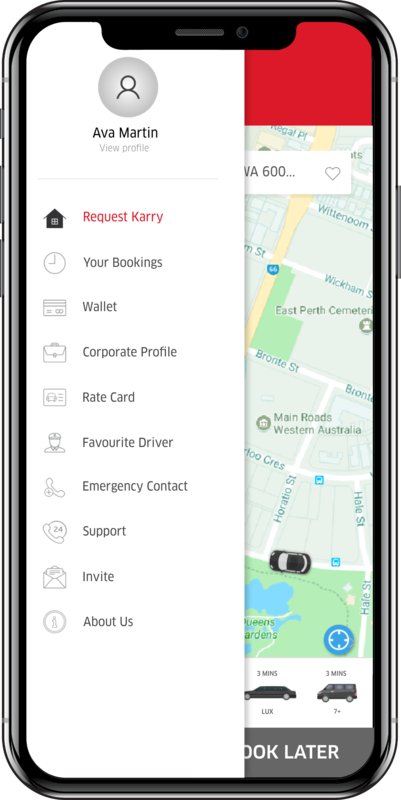 Keeping the Karry white label taxi script & Uber clone software feature-rich with options such as setting up emergency contacts providing referral codes, updating details & favourites, registering corporate profiles, etc to overall increase user engagement & retention. Various profile options to further enhance user experience. RIncrease your customised taxi app userbase by providing referral codes that can be shared with people. 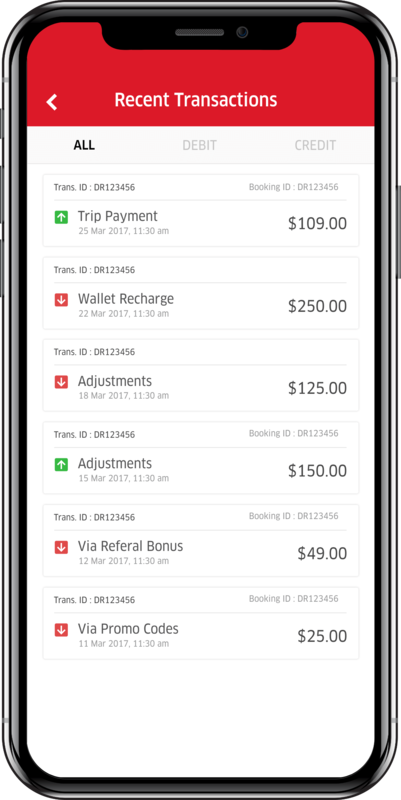 In-app wallet module integrated in the white label taxi app solution, for quick payments during bookings. Soft & Hard limits are setup by the admin to prevent the customer from making cash bookings, if a certain credit amount is due to the app. View all prior bookings & payments done on the white label taxi booking app. 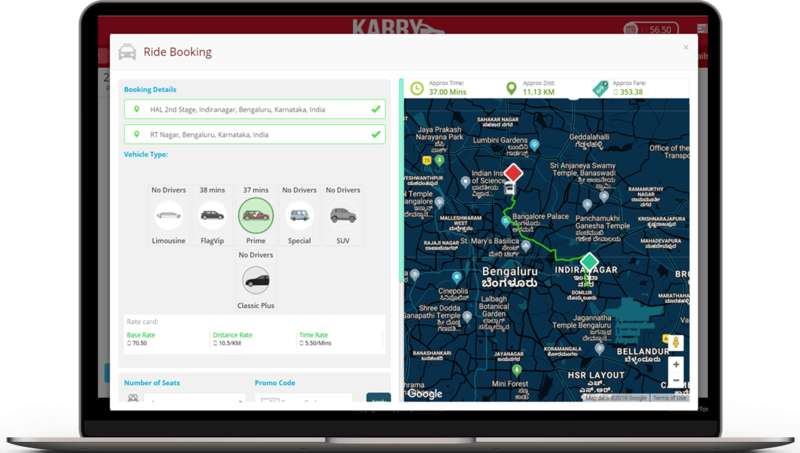 We’ve integrated the Karry Uber clone script with an institutional module to enable tie-ups with corporates & as an employee transportation solution provider or as a guest transportation solution for hotels, resorts, retreats etc. Depending on the setup, the final ride bill is handled by the customer or the institution. The Karry taxi software includes an online taxi booking website portal for customers to book from. 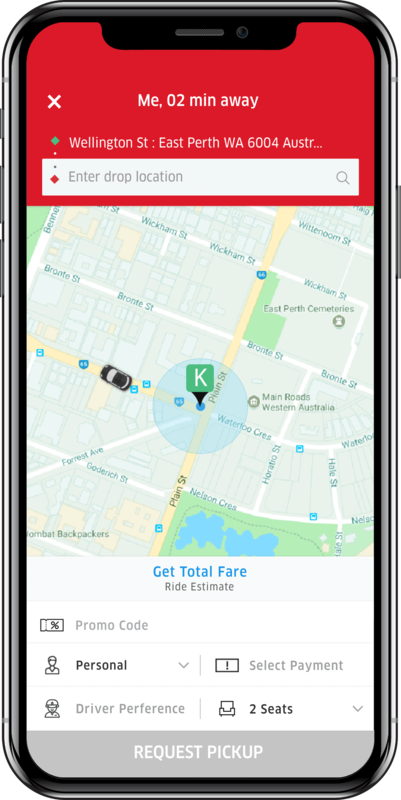 The online taxi booking portal encompasses most of the functionality of the Karry taxi app such as ride scheduling, driver preferences, wallet recharge, live tracking & more. The online taxi booking script makes registration simpler via usage of social accounts. On-demand taxi booking or schedule a taxi ride. 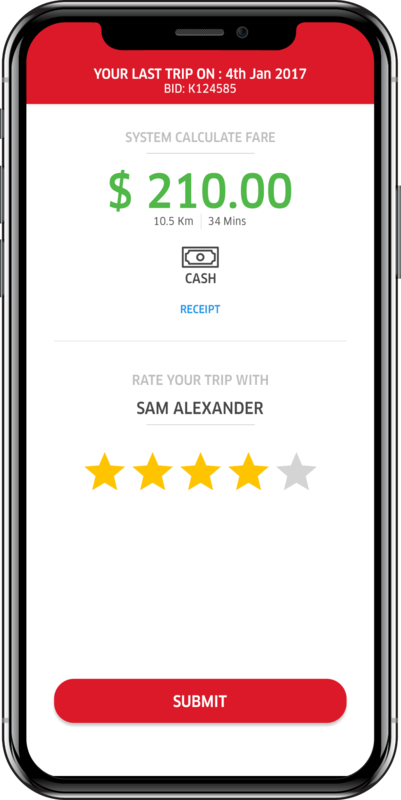 Add driver preferences, promo codes, payment methods etc while booking online. Real-time ride tracking with booking status updates. View all past payments done on the Karry software & recharge your wallet directly on the website itself. The Karry cab management software makes its easy for drivers to register themselves on the application, start accepting booking requests, track their earnings, integrate their bank accounts, refer other drivers & more. Drivers need to be approved by the admin before receiving booking requests. 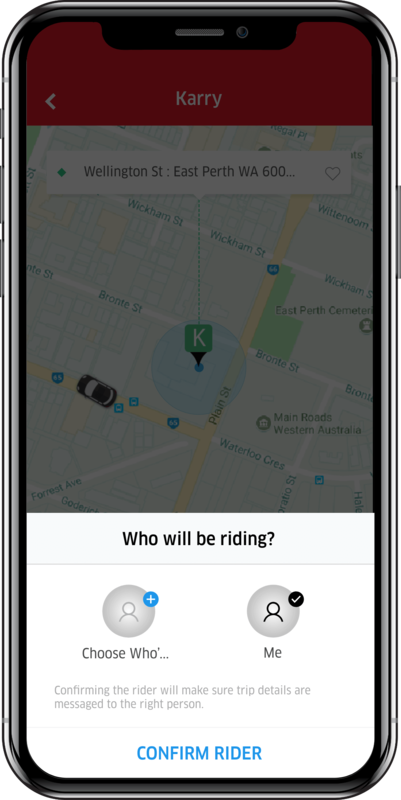 Karry drivers need to enter details regarding the vehicle in use during ride bookings. 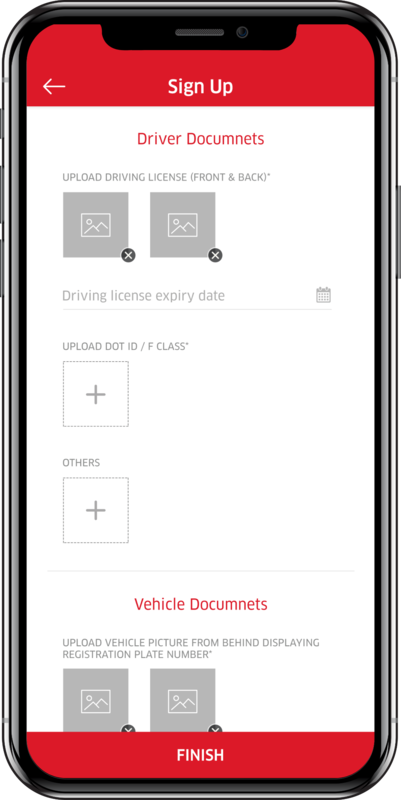 Before submitting the registration for admin approval, the karry driver needs to upload the appropriate valid licenses and certificates. This ensures high standards are kept for drivers before registering themselves. 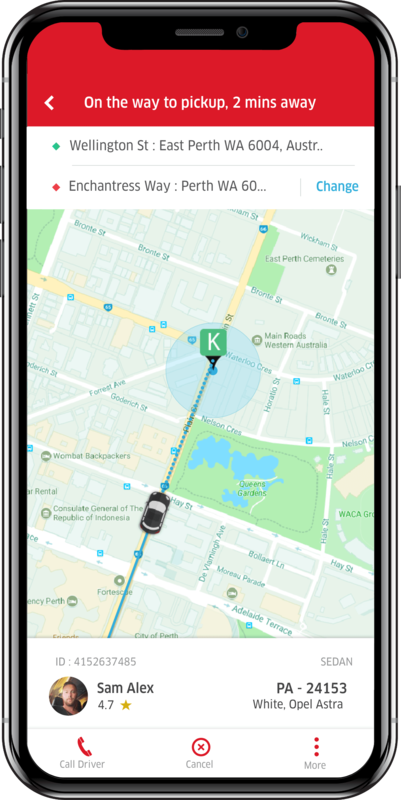 The Karry taxi booking script enables drivers to find customers nearby to their location looking to find a taxi on demand. Drivers can choose to accept or deny request unless manually assigned by the taxi dispatch system. 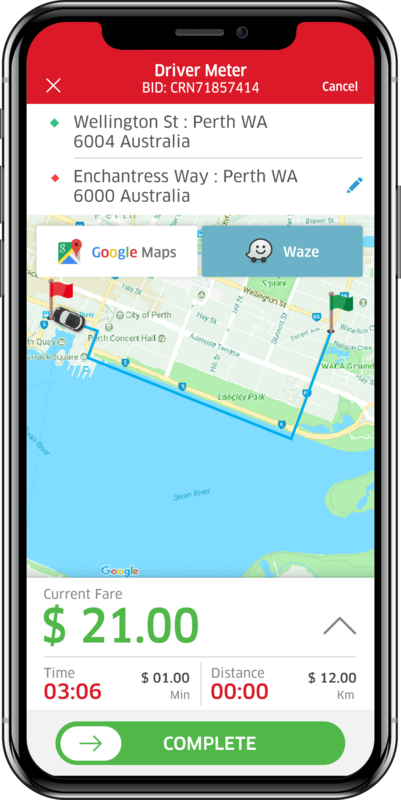 The karry taxi script comes with live-tracking features powered by Google Maps or Waze. Drivers can additionally update the status of the booked trip with a single swipe. We’ve integrated our Karry taxi driver software with a manual booking feature as well. Drivers can set up manual trips by themselves. 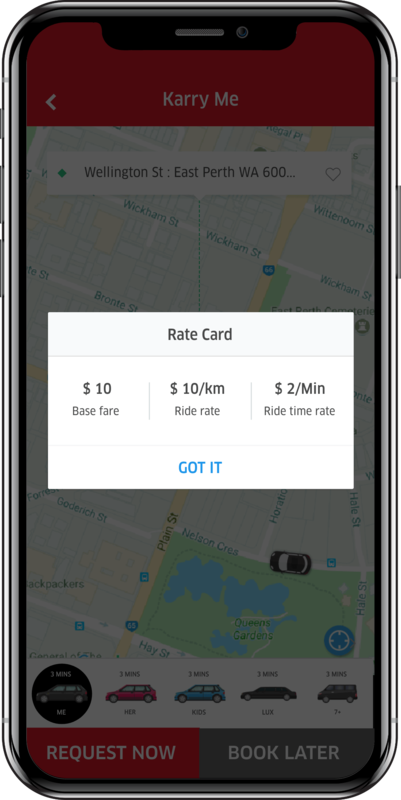 Fares are automatically calculated by the Uber clone script & displayed to the driver. The driver can then mail the invoice to the clients email ID. 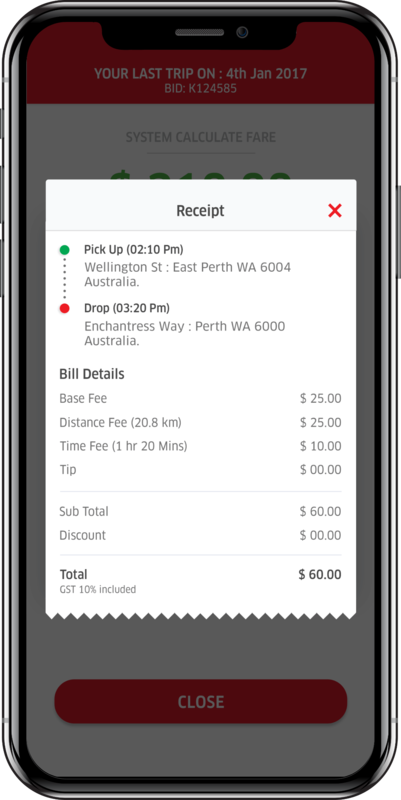 View a detailed invoice of the trip undertaken on the white label taxi driver app. Drivers can rate their passengers as well on the customised taxi driver app. 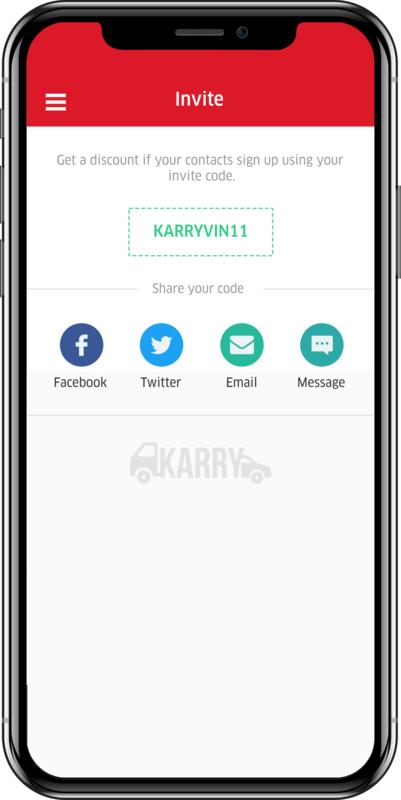 We’ve integrated a detailed Driver Portal on the Karry Driver app. Drivers can view analytics of their trips undertaken and earnings. Taxi drivers can add their bank details to directly receive payments from their business owner. 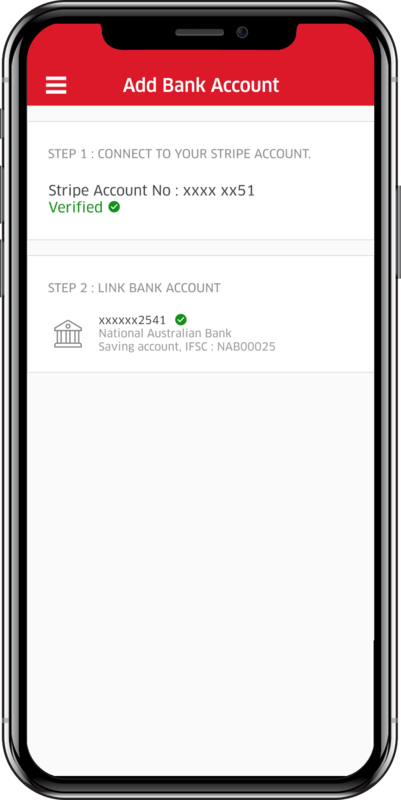 In-app wallet account to ensure the driver cannot make any further cash bookings if credit via cash bookings is due as app commision. Support section incase drivers have any issues during their service. Manage all cab drivers on your custom taxi booking app. 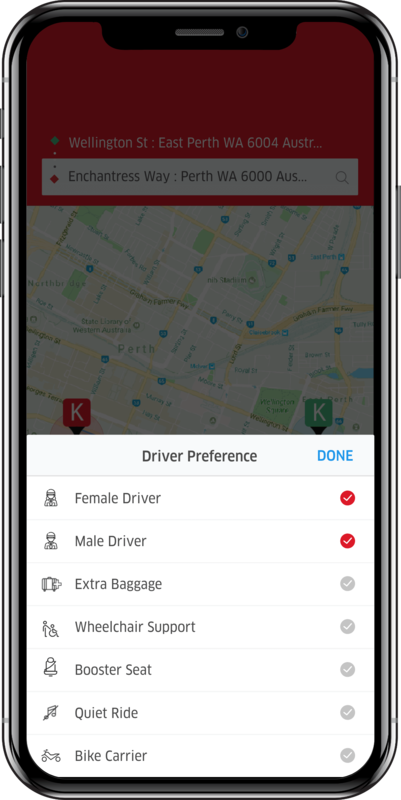 Accept or reject taxi drivers that register on the Karry driver application. Setup and manage fares for various on-demand ride sharing services based on cities, vehicle type, hourly rates, surges etc. Setup and manage promotion codes and referral campaigns on your customizable Uber clone software. View all taxi bookings in real time as they are being placed on the application. Track the status of each individual booking as well. Complete financial accounting system to keep track of earnings for various drivers registered on the app. Payroll management system integrated with the Karry white label taxi booking software. Manage cash & card earnings for each driver with direct payment into their respective bank accounts. Manage details of various taxi, carpooling, chauffeur booking services present on your customised Uber clone application. View all ride bookings & trips in real time on a map across cities or manually created zones. Our taxi booking software now comes with a Corporate module integrated. This enables your custom taxi booking script to integrate with various businesses as an employee transportation solution . 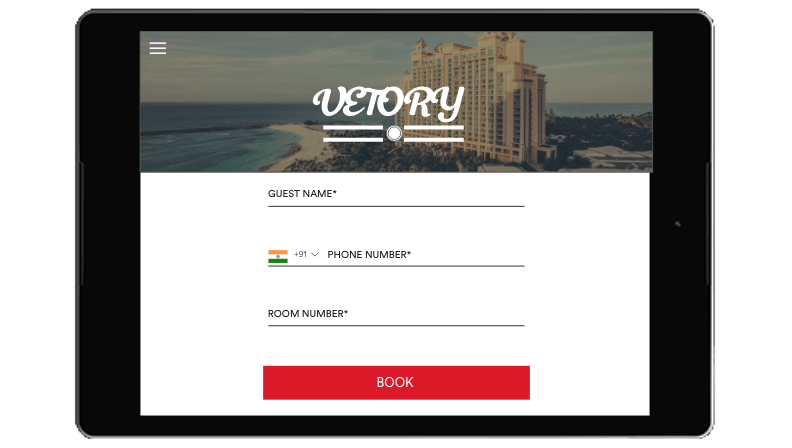 The Hospitality Partner module enables your custom ride booking software to partner with hotels, resorts, retreats etc as a guest transportation solution. Push messages to various drives and customers, registered on the Karry ride-booking software, directly from the admin. 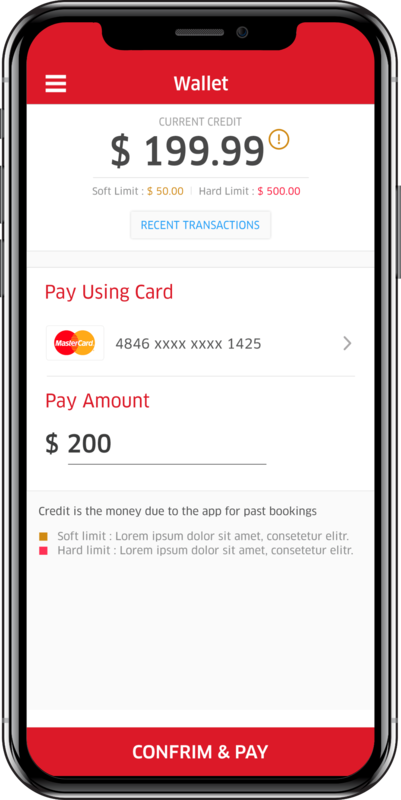 Integrated with Stripe for quick payment processing on the Uber clone app. Set up the various languages your customised online taxi script will cater to. 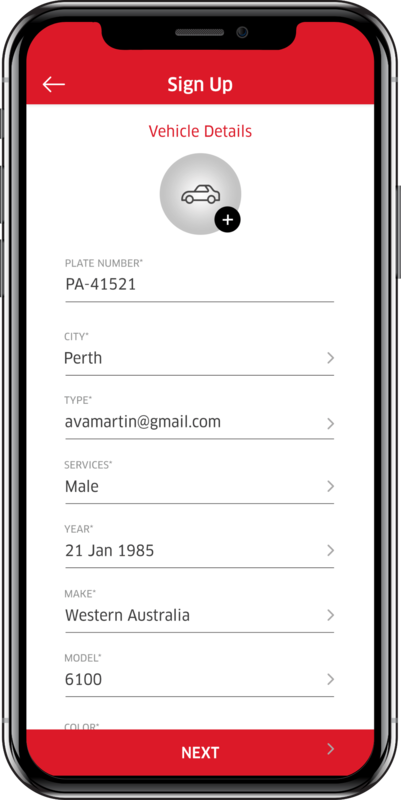 View the ride booking acceptance rate on all the registered drivers on the custom Uber clone application. Referral management software integrated into the white label taxi script to manage referrers and according commision rates. Manage app update settings for all users who’ve downloaded the customised Uber clone application. Dashboard to manage all referral programs, loyalty programs, promo campaigns etc on the online taxi app management software. Keep a tab on the various taxi drivers and maintain high quality standards using ratings and reviews left by customers. 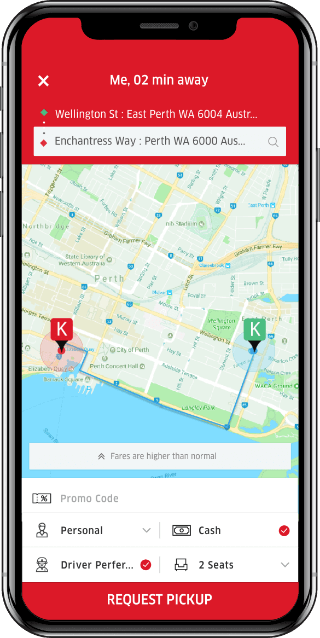 Setup various app commision rates based on zone, service type, fares etc on our Uber clone script. WHY CHOOSE KARRY AS YOUR WHITE LABEL RIDESHARE APP & UBER CLONE SOFTWARE SOLUTION? Our Uber clone script can be customised for a variety of taxi booking and ride-sharing applications. Whether your taxi app idea is a unique on-demand taxi app / carpooling app / ride-hailing solution / transportation booking app etc Karry can be tailored accordingly. 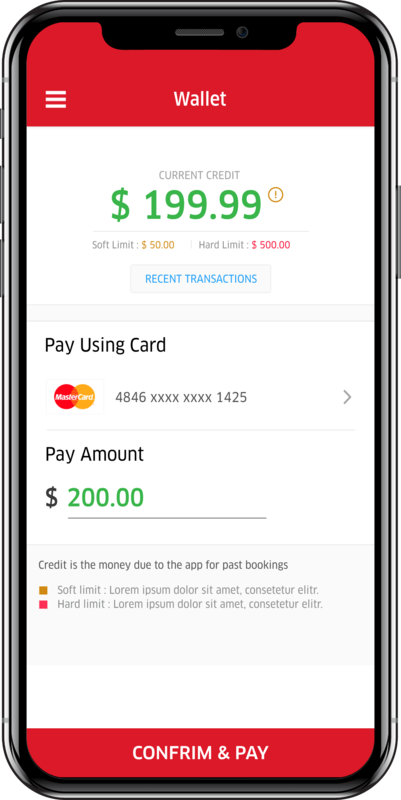 We assure PCI compliance so you will have not legal issues accepting in-app purchases with our Uber clone script & online taxi booking script. With our proprietary pre-built Uber clone scripts, customizable taxi booking & dispatch systems, robust & scalable cab management softwares, we move our customizable taxi app from development to deployment faster than the top taxi app developers out there. 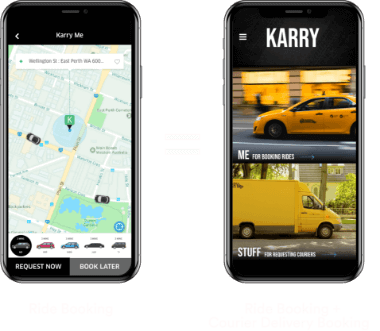 With state of the art container technology, clean coding practices, use of microservice architecture while simultaneously integrating safety & security features on the taxi booking app – Karry is one of the most robust Uber clone script, in the market today. 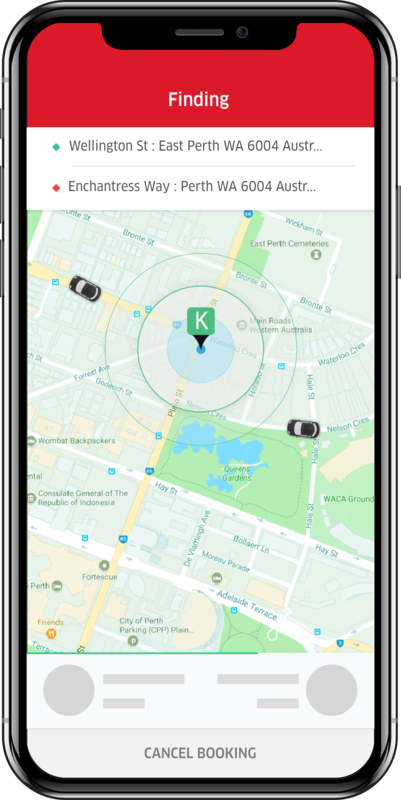 Irrespective of your location or language preference, Karry can be tailored for any ride-sharing or transportation booking need, around the world. All online taxi booking scripts developed using the Karry taxi software are designed keeping SEO & ASO practices for apps in mind. Our on-demand taxi app script solutions are the only ones in the market to provide chatbot-integrated app monitoring services. This ensures you have on-demand performance updates for your customisable Uber clone app. 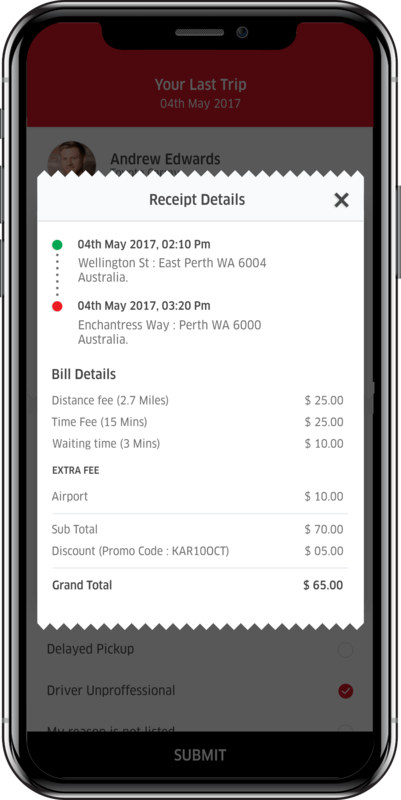 The Karry white label taxi booking app & taxi dispatch system is not only robust & scalable but extremely secure as well. SSL-powered API’s, Keychain, JWT, reverse proxy setup etc ensures that security extends all the way from the app to each individual API. How are security features implemented in Uber and other Uber clone apps. Please note that the use of the term "Uber Clone" is for marketing purpose only. This is how the web & app development industry refers to building a(n) taxi on-demand app/website similar to Uber or another site. Appscrip ensures that the entire design and code is built by our own team of designers and developers. No code, design or graphics has been or will be used from the official Uber app/website. 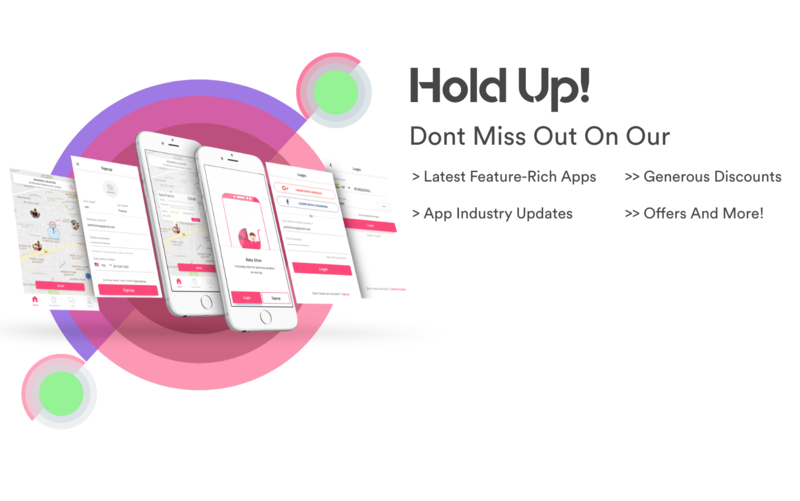 Appscrip custom-made solution enables owners to run an app/website similar to Uber based on our standard structure and technology blueprint, however we are not an exact copy of Uber as we provide our unique modifications to our solutions. Learn more on what is app/website cloning.